Maybe you’ve heard of air frying but you’re just not sure of how do air fryers work. If that’s the case, you’ve come to the right place because that’s exactly what we’re talking about today. Nowadays, we’re always in a hurry, reaching for the least healthy food because it takes little time to prepare. Luckily, air frying makes your food equality as tasty, just as quickly. Thought, there’s difference. Food prepared in an air fryer has significantly less calories. Therefore, you get same delicious food that’s much healthier. If you’re interested to learn how do air fryers work, keep reading. To answer the question on how do air fryers work, it’s the Rapid Air Technology. 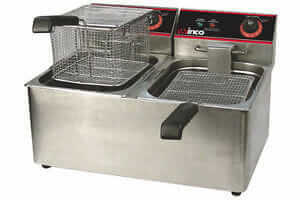 Most air fryers work with the innovative patent that’s high speed air circulation. This technology makes the hot air circulate around the ingredients very quickly. Of course, this heats up the basket with ingredients. The key is that all sides are heated equality, frying the food evenly. This technology makes the frying process quick while delivering healthy and delicious food. Finally, the ending result is crispy outside with juicy inside. Deep fried food is unhealthy, takes long time to prepare, and leaves a mess behind. Luckily, there’s a way to achieve the delicious taste of our favorite comfort food without jeopardizing our health. Simply, you don’t need oil to fry food in an air fryer. You already know how much oil you need to make French fries or doughnuts in a deep fryer. Deep fried food is prepared in baths of oil that can’t be good for you or your family. Naturally, everyone likes French fries and fried chicken wings. 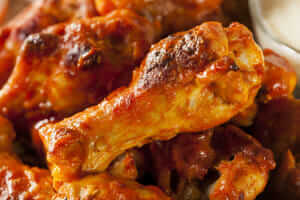 Did you know that a serving of deep fried chicken wings have 240 calories? Of course, the numbers grow when you add your favorite dipping to them. Food that’s high in calories can affect your body in many ways. For example, heart diseases, diabetes, and obesity are just some of the issues that may occur if you eat food fried in deep oil. Of course, air fryers don’t put your health at risk in no way. The food fried with Rapid Air Technology has a lot less calories. No doubt, some foods require a drop of oil to make the seasoning stick better. For example, Philips AirFryer requires a tablespoon of oil, or less. The results are up to 75% less fat in your food. Nonetheless, you must admit that’s still better than having fries deep fried in gallons of oil. Simply, the hot air that’s circulating reaches all parts of food and cooks them evenly. In addition, you’re safe to enjoy your favorite fried food prepared in an air fryer, without fearing for your health. As we said, time is money in today’s world. Of course, we’re all looking to save as much money and time at all times. Whether you’re preparing frozen or raw foods, air fryers handle them with no problem. If you know someone who has an air fryer and you ask them how do air fryers work, they’ll tell you air fryers work quickly. More precisely, French fries take only 12 minutes. Bigger foods, such as an entire chicken, take no more than 30 minutes. If you enjoy fish and chips, you can have them in 15 minutes. Whatever you could think of to fry in your air fryer it won’t take more than half an hour. Simply, there’s no oil to bring to boiling which means you’re food is ready in very few minutes. Finally, Rapid Air Technology is what makes the whole process quick and the results rewarding. Also, most of air fryers are digital which saves even more time for you. For example, Power XL Air Fryer cooks up to 400C while one-touch settings make it extremely easy to use. You’re able to save time and prepare dinner in a single dish and in only 15 minutes. We already explained what Rapid Air Technology is, but there’s more to answer about how do air fryers work. Firstly, it’s important to know that the heat element is located just above the cooking chamber. Therefore, the radiation goes deep under the food surface to cook it evenly. Above the heat element is a large fan that’s pulling the air out. Now this hot air surrounds the cooking chamber heating it equally. Finally, the hot air is guided downwards and back in the chamber. Of course, the combination of radiation and convection allows food to cook even when it’s in piles. Most air fryers are cool-to-touch, so even though they’re hot on the inside you’re safe from accidently burning yourself. 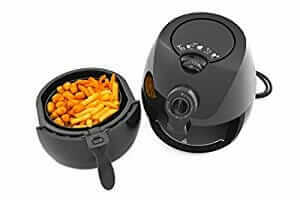 Read more about our article about what can you cook in an air fryer. Now that you understand how do air fryers work let’s explain what happens when temperature rises. Of course, all hot air is kept inside the cooking chamber where your food is. The hot air circulates and that way cooks your food. Normally, the temperature rises at certain point, and it rises the internal pressure. This is where an air fryer’s exhaust system comes to play. The exhaust system actually takes a small amount of the hot air that’s circulating inside the cooking chamber. This releases the pressure just enough. Of course, the system forces steam and smoke to only come out through there. Finally, the smoke is filtered before it’s released. This prevents your kitchen to fill with smoke and smell of fried food. Just how easy do air fryers work, that’s how easy it’s to clean them. 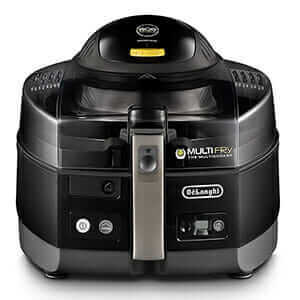 Most air fryers, such as T-Fal ActiFry, have a detachable basket and removable pan. Also, air fryers are made of non-stick materials that make cleaning much easier. Just think of how hard it’s to clean your kitchen after deep frying. Normally, there’s oil splattered everywhere and your house smells like friend fish and chips. With air fryers that’s no longer an issue. The parts of an air fryer that are removable and detachable are most often also dishwasher safe. There’s nothing more convenient that just adding them to your dishwasher and enjoying your favorite healthy fried food. In conclusion, we hope we’ve helped you understand how do air fryers work. Of course, the hot air is slowly replacing boiling oil in our kitchen. The Rapid Air Technology and settings created to save our time make this kitchen appliance easy to use. Not only you save your time, but you’re also helping your body by feeding it with healthy foods. Finally, you have a chance to improve your lifestyle and diet, all while still enjoying your favorite fried food anytime you want. 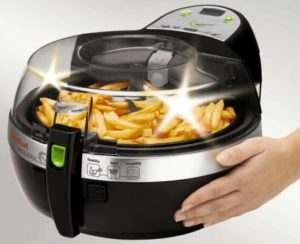 Do you understand how do air fryers work? 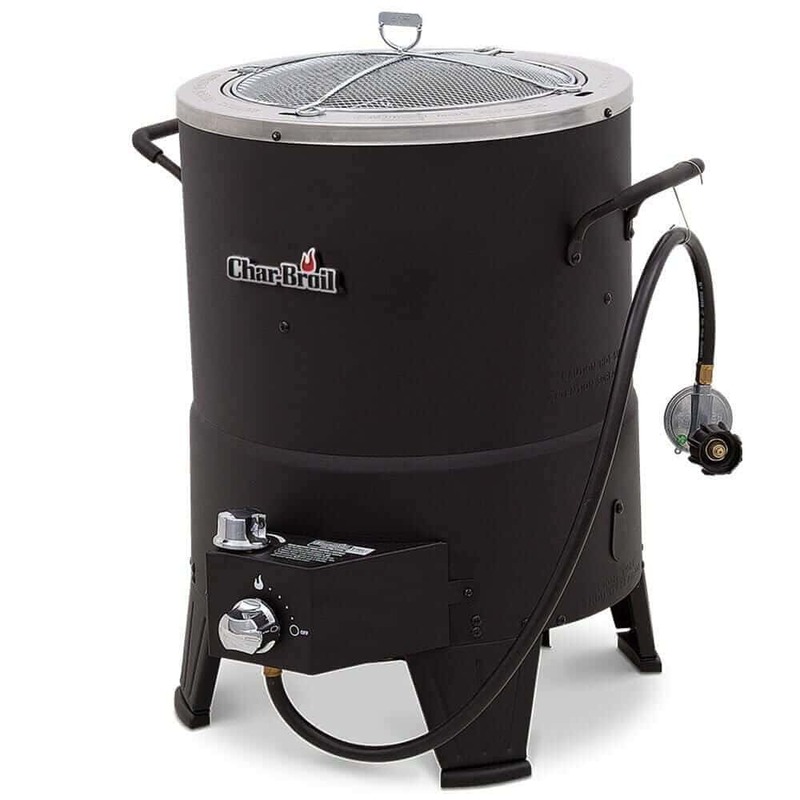 Do you have any previous experience with air fryers? What’s your favorite fried food? Of course, let us know and feel free to comment in the section below. My greatest concern is how much radiation air fryers have vs oil deep fryers. Please let me know. Thanks!